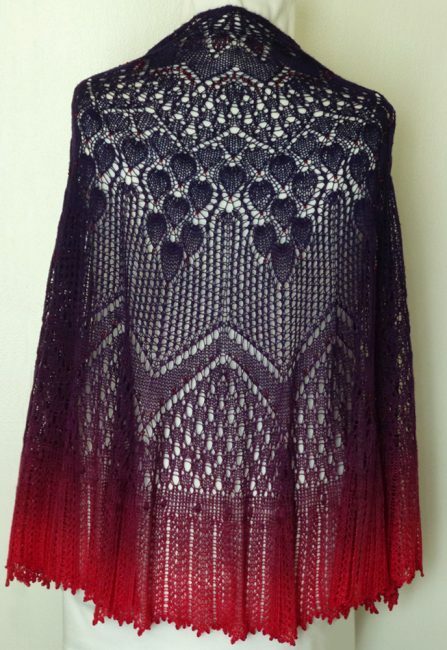 Vibrant color, sparkling bead and lacy stitch-work wonderfully combine to create this Rites of Spring shawl. 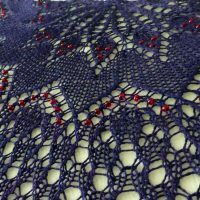 Hand-knit in a sustainable, natural-fiber Tencel yarn, this shawl is the perfect wrap for warmer weather. It’s cool to the touch like cotton, but has the luxurious sheen of silk. Lovely enough for a dance ’round the Maypole. 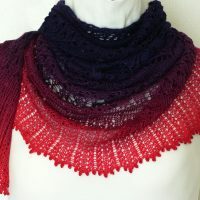 I have to say, this Red Hat Lady colorway from Vivid Fiber Arts is gorgeous. 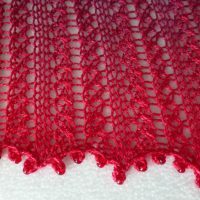 The colors are so vibrant and yarn so soft and silky that it always amazes me whenever I use VFA yarn. It was fun knitting up Don’t Panic again in this colorway. I added a small section of 42 nupps, just because… well 42. If you’re a fan of HHGTTG, you’ll know what this means. Size: One size, Measures 66″ wide by 30″ long. 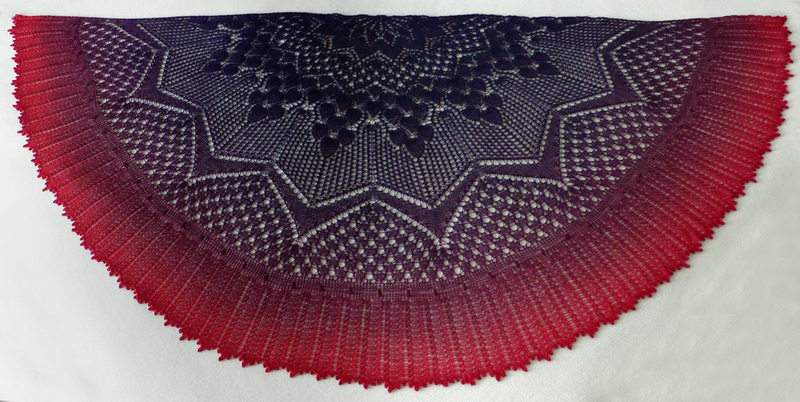 This shawl is available at my Needles ‘n Purls store. 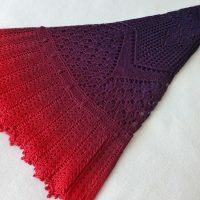 *Special thanks to Nim Teasdale (Don’t Panic shawl) for creating such a wonderful pattern and Vivid Fiber Arts for making such beautiful yarn.